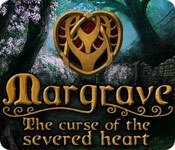 Margrave: The Curse of the Severed Heart is rated 3.8 out of 5 by 62. 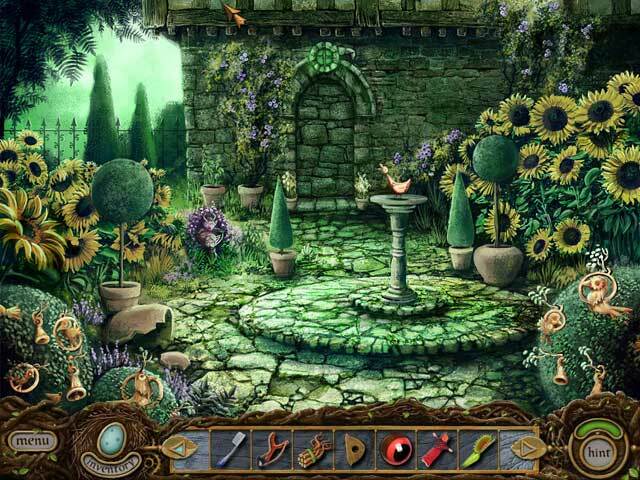 Rated 5 out of 5 by dollyflower from Great Game! Great all round game. HOS very challenging. I wish more games today were like this game. Rated 5 out of 5 by msfelixthecatz from Wonderful! I loved this game! Totally original, some surprising humor, plot twists, never got dull. Thank you for one of the best games ever. Rated 5 out of 5 by SparkleGlow100 from A WORK OF ART & LOTS OF NATURE Older game: first review on BFG for this game was November 2011. You have to be in the mood to play this, because the ambiance is different to most other games. It is also stunningly BEAUTIFUL and stunningly CHALLENGING. You are basically on a hunt to find out exactly what happened to your parents many years ago and you end up at a cottage in the woods, in the country-side. You then get orchards and centuries old buildings, and moss and weeds, and fields and churches in ruins. Some spell-work is required to resolve things. ***ARTWORK: Gorgeous artwork. Relaxed and peaceful. Scenes that artists have taken time over, with attention to detail. The scenes are far from realistic, but are very stylized. If you love nature, then you will love this. Doesn’t fill the whole screen ***HOPS: For some people, there will be difficult to see items. Some (not all) of the HOPS have up to 5 or 6 near impossible to see items, resulting from a combination of the colors being well-blended and because they are faded/small. ***PUZZLES: A mix and also a running puzzle of matching symbols in a certain configuration. ***NO MAP ***INVENTORY: Is double-sided. You click a button to flip it over. 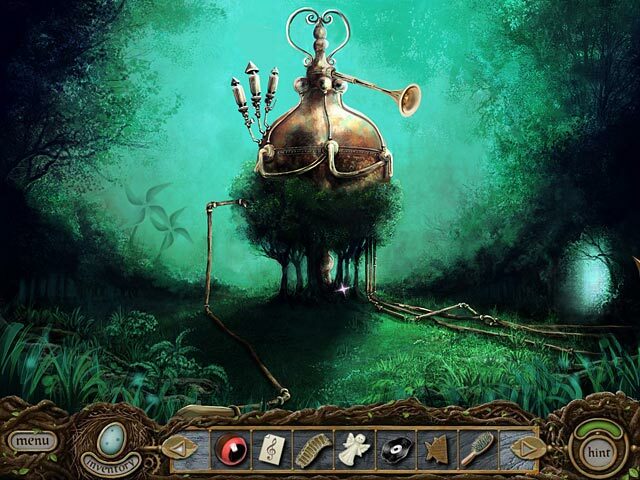 One side collects items, and the other side only collects notes, and puzzle helps, which you will have to use. You will get lots of items in your inventory, maybe 11 or 12 at times. ***DIFFICULTY: Casual / Expert ***SOUNDS: 2 options for effects and music only. Sound effects are appropriate, like birds, or the fire. You can mute the voices. ***HINT: Will tell you in writing, what to do and in what location. Takes 30 seconds to recharge in casual. Rated 5 out of 5 by Jgamer2010 from Quite Different in a Refreshing Way I really liked this game. I was hesitant at first, because the title makes it seem like just another overly dark HOG with no real storyline. I was pleasantly surprised though. The storyline is very tight. It actually pulls at your heart a bit at the end. I also like that there are no frequent reminders nagging you to do something through the game. It allows you to sink into it and immerse yourself in the scenes at your own pace. The HOGs are difficult and very good. The music is understated and therefore better than usual. The visuals at first seem a bit antiquated, but the truth is they end up being really nice and even remind me a bit of Machinarium, if you know that great game. I wish there were more games like this one. Well done! Rated 5 out of 5 by SugarMax from I Loved this Game This is the second Margrave game I've played. While the gameplay in this is more simplistic than The Blacksmith's Daughter, the story more than makes up for it. Most of the cut scenes are done with still pictures and dialog which takes a little getting used to. The HOS screens were difficult for me, as some items were very hard to see. The graphics were whimsical and pleasing. 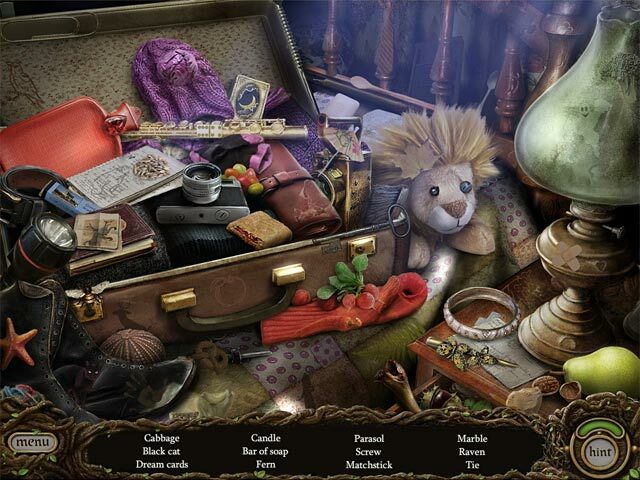 There are a lot of items to find in this game but clues are presented in a variety of clever ways. I liked that HOS activities were balanced with other types of puzzles. Where this game really shines is in the story of Margrave investigating the death of her parents. There are poignant scenes that drew me in emotionally (something that does not usually happen while gaming). In the end, I cared about the outcome and the characters. Rated 5 out of 5 by ts1sds from Beautiful Game This game is one of the most enchanting I've played. The set designs are gorgeous, the puzzles are just the right level of challenge, the story is engrossing, the background music is beautiful, and the voice acting shows real talent. I don't quite know what else to say except buy this game! Rated 5 out of 5 by natashaet from AMAZING game! LOVE the Margrave Series! Forgoing the voice over...don't like to be told what to do or how to figure things out...and always playing on expert mode;This game is a wonderful puzzle and adventure! The HOS are difficult at times, puzzles are different and the whole game is just FUN! Rated 5 out of 5 by arnold1049 from EVEN MY PET PEEVE DIDN'T KEEP ME FROM LIKING THIS GAME Normally, if a game is guilty of my pet peeve, then I don't rate it very highly. This game, however, is an exception. My pet peeve is being sent back and forth through the many scenes to get new items for inventory or to solve a puzzle until you have no idea where you are or where to go next. Often I am forced to go to a Strategy Guide to find the next play area. However, in this game, the hint button was so well done, that I was always able to use it to figure out where to go next. And I used the hint button a lot for this reason only. I rarely had to use a hint in the HOS. The storyline was excellent and I loved the British accents in the voice overs. Some of the items in the HOS were also British flavored. The mini games weren't too hard, but one or two of them needed an explanation as to what needed to be done. Of course, I'm sure the strategy guide would have told me, but I would rather skip a puzzle than break my rhythm. I played with the music off, but the background sounds on, which allowed for the voice overs to be heard. Usually, I play with no sound at all, as the music and background noises distract me. This often leaves me reading the voice overs instead of hearing them, which would have been bad in this game because of the great British accents. Not many games allow you to hear the voice overs if you turn off some of the sound settings. Great game. Rated 5 out of 5 by catdroid from Fun game This is a fun adventure game with a good mix of HOS, mini games and finding objects to use. Also, this is not a dark or spooky evil run amok story. There is running back and forth which I didn't mind. This game made sense and the few times I was stumped a good think got me where I needed to go. This game also did a good job of unfolding the story. All in all the story was good, graphics good and hard enough to make you think without being frustrated. A great buy.